70,000 sq. ft. of Grade A office space on Donegall Square South has been brought to market by Lisney and Osborne King. 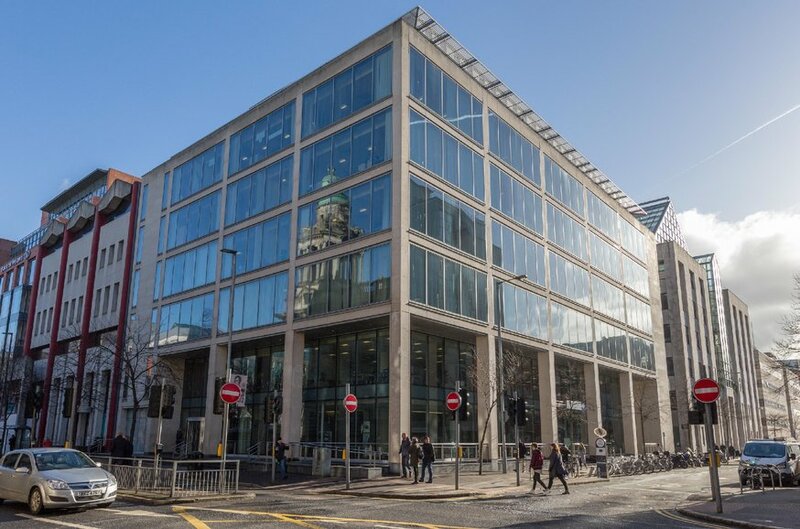 Offers over £21 million are invited for one of Belfast’s best appointed and located office blocks, The Metro Building, 8-10 Donegall Square South. Developed in 2003, the nine-storey building boasts a strong line up of tenants including Capita, Johnston Publishing and Yell, in addition to two levels of underground car parking to accommodate 50 cars. The Metro Building is located at the heart of Belfast office space. “There is a positive narrative around prime office space in Belfast, with strong occupier demand and significant rental growth in recent years. The quality and location of The Metro Building on the prestigious Donegall Square South is an opportunity to exploit rental growth and should command the best rents in the city. “The Belfast office market has seen prime rents move from £15 per square foot to £21.50 over recent years and there are a number of office schemes planned where quoting rents will be upwards of £23. Therefore, with average rents in the building currently at £17 per square foot, the purchaser of The Metro Building will likely exploit its considerable reversionary potential. Facing Belfast City Hall and with adjacent buildings including the Northern Ireland Headquarters of Bank of Ireland, Danske Bank and Ulster Bank, The Metro Building is located at the heart of Belfast office space.